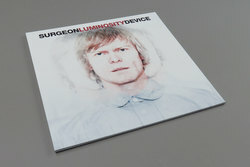 Surgeon - Luminosity Device. Vinyl LP, CD. Bleep. 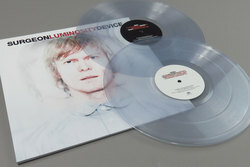 Surgeon presents his ninth studio album Luminosity Device, released via Dynamic Tension and featuring a fresh armoury of perfectly poised techno bullets. 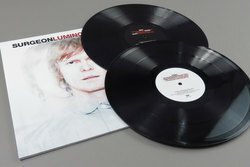 Luminosity Device has been produced on Anthony Child's wealth of analogue equipment to the usual highest standards you would and should expect of any new Surgeon record. Its nine tracks draw a certain strain of British greyscale yet humorous psychedelia that can only have come from the Midlands, this is repetition as received through a receptive choral lense of shimmering effects and poison dart dynamics that is sure to be hailed the most deadly album from Anthony Child since 1999's Tresor classic Force + Form. 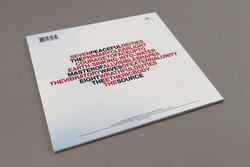 Luminosity Device views techno through a psychedelic lens of influence from the Tibetan Book Of The Dead plus the music of Coil, Faust, Suicide and much psychedelic pop from the 1960s. Opening with an imagined landscape of bleeping test tones reminiscent of the most outward reaching inner space exploration of say, Cluster, you'd be forgiven for thinking Luminosity Device is set to follow Surgeon's recent Transcendence Orchestra collaboration with Daniel Bean and his two volumes of Electronic Recordings From Maui Jungle for Mego, by journeying down the drone route. Yet within minutes, this glimpse of ambient techno-mesmerism is soon laid to rest with the fierce kick combo of The Primary Clear Light and Courage to Face Up To. This is the sound of Surgeon pushing his machines hard, the modules working overtime with a cathartic intensity that makes us imagine his studio as some massive, oil drum like room. Inside it a thousand pistons working overtime deep within the sort of vast and dank warehouse space that this music just begs to be experienced in. As evident in his DJ sets, the pure techno idiom has never been Surgeon's sole method of exploring the vastness of inner space, or of illustrating the interaction of thought and memory with the external environment. This is what makes Luminosity Device such an indispensable and attractive proposition. The way this music perfectly bridges the experimental approach of a well-explored sound and transports it through the focus of selecting tracks for his weekly around the world DJ club sets, this is an album that is sure to be a subversive thorn in the side of traditional techno, yet as with each of his records will stand tall for years to come as a signpost directing the music toward new and enticing directions. Cut to crystal clear vinyl and housed inside a totally punk sleeve design (If you don't get it then you probably never will, but you should probably read more...) that is set to split opinions far and wide, when asked about the choice to feature himself on the cover Surgeon is quoted in The Wire as saying "On one level it can be a subtle reference that people can pick up on… and it can also kind of annoy people, which I quite like doing." which for us is just the ecstasy icing on a total techno cake.